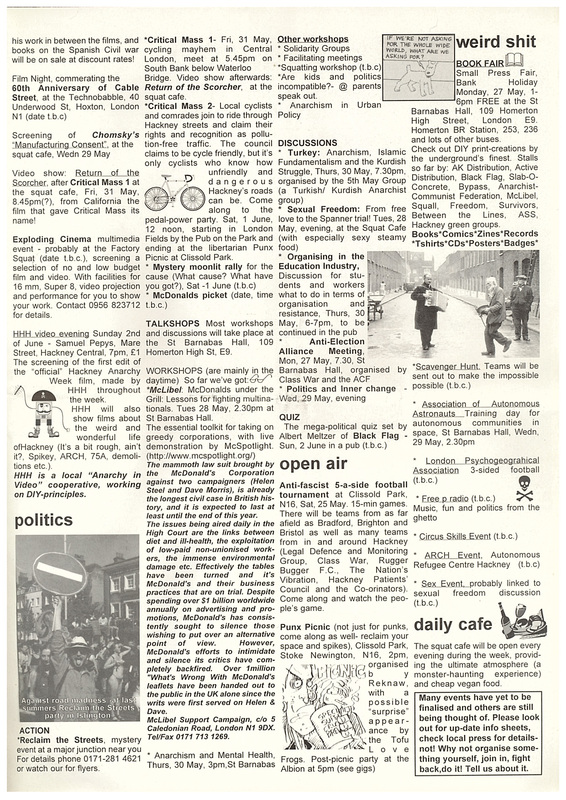 This ten day festival in the borough was inspired by the London-wide “Anarchy In the UK” festival of 1994. It commenced exactly 15 years ago to the day. HAW was the culmination of six months of a small crew holding at least weekly meetings, originally held in a squatted social centre around Newington Green, and then HQ was set up in a squatted block on the corner of Kingsland High Street and Princess May Road. Contacts were pooled, favours were called in. The inner pages of the programme included a Hackney Timeline and other material which will appear here shortly. 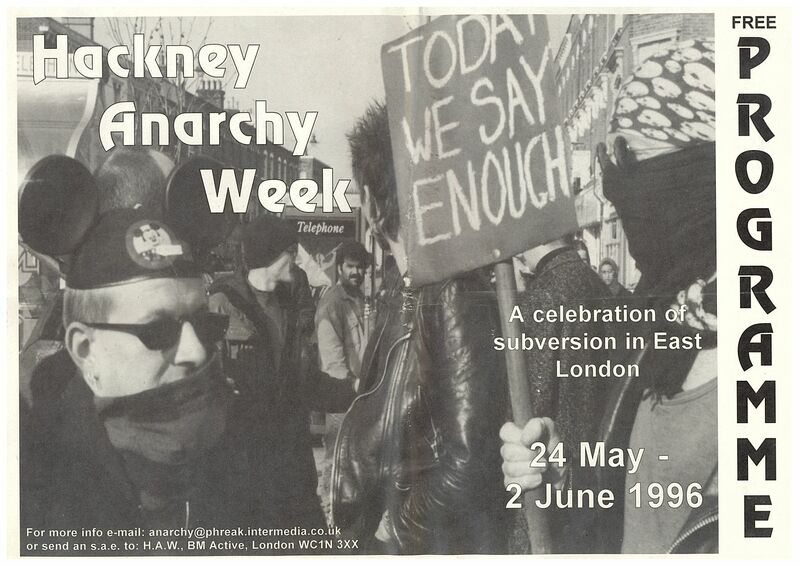 There was also a Hackney Anarchy Week film – does anyone fancy getting that up on Youtube? 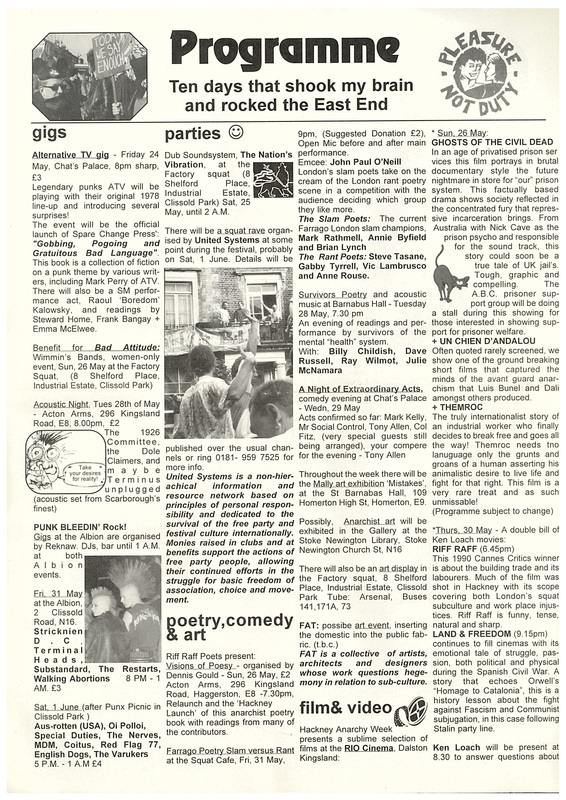 This entry was posted in 1990s, Clissold Park, Dalston, feminism, festivals, Homerton, housing/squatting, London Fields, punk, racism / fascism, Shoreditch, Stoke Newington by ackneyinnit. Bookmark the permalink.